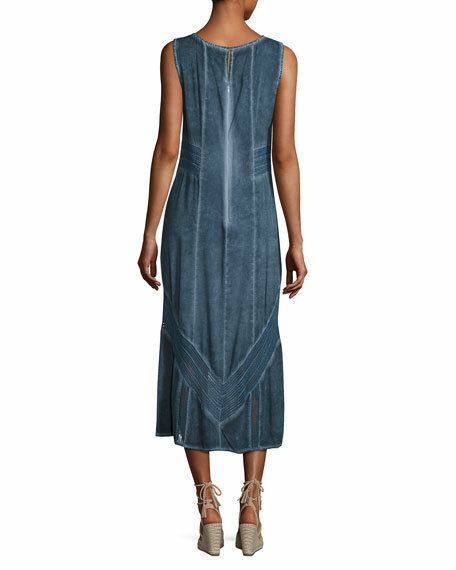 XCVI long paneled denim dress with whiskering, fading and mesh insets. Hem hits at mid calf. 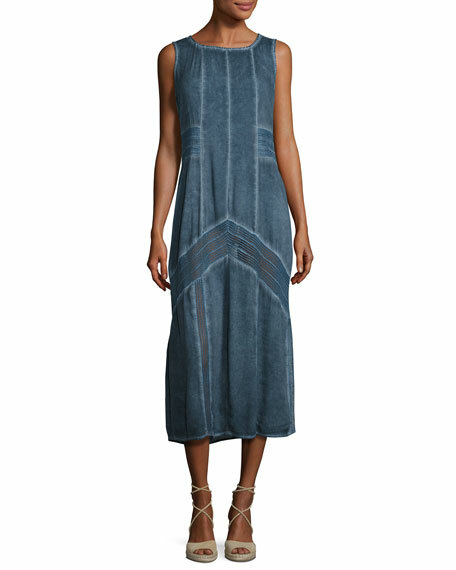 For in-store inquiries, use sku #2030717.